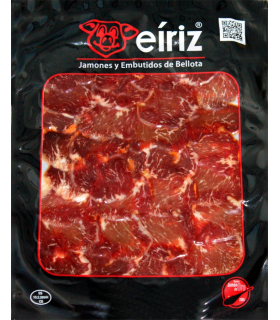 The lomo ibérico de bellota is prepared following specific steps, first, the meat is extracted from pig and then is seasoned. After that, the loin is stuffed into casings and cured. It is approximately 50 cm. 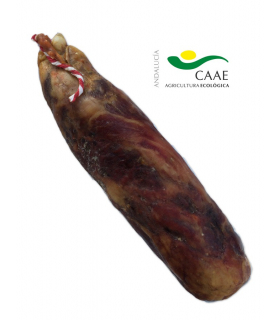 The lomo o caña de lomo are considered essential among the iberian sausages. From pure Iberian pigs fed on a diet of acorns during the Montanera. Just as ham, pig quality is well illustrated in this product, first, by the look of infiltrated fat meat and then by taste. Curing time depends of the factory, but the most important thing is seasoning. 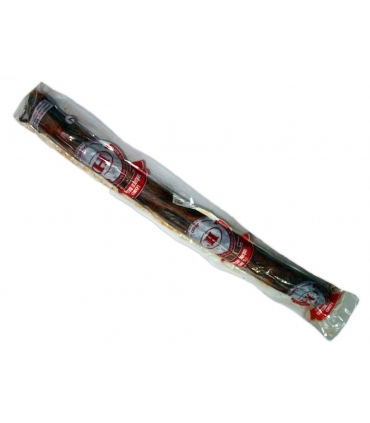 Each producer and breeder has its own recipe concerning the tipe and amount of spices used. For this product, the house Hijos de Onofre Sanchez Martin refuses to give his recipe because it is a secret passed down from generation to generation. Pure Iberian caña de lomo, pimenton (paprika) Pepper, garlic and sea salt. When the curing process has finish, this product must to be tasting into thin slices.